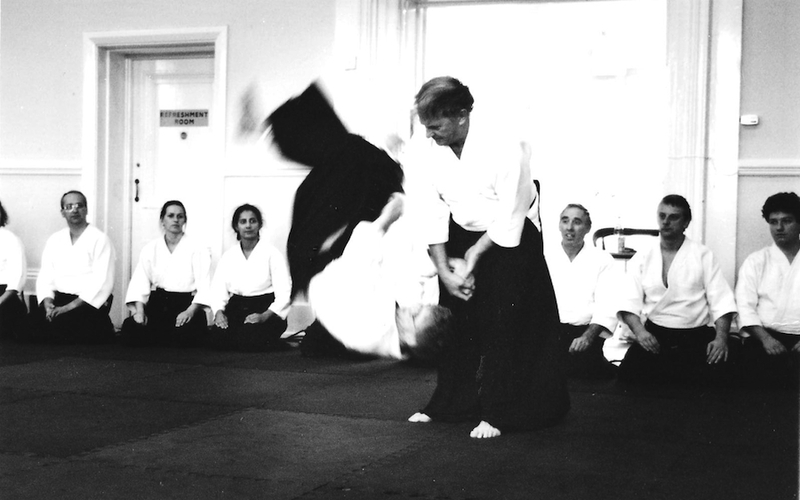 Mind Body Coordination, and it's relationship to self-defence, are explored in this article on Ki Aikido. 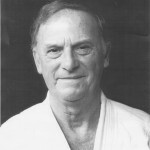 This is the third in a series written by Sensei Williams in 1990. Sometimes a question is raised, when discussing the subject of Ki, as to whether or not very small people with powerful Ki can compete against top heavyweight weight-lifters. Simply, they cannot, since they do not have the physical stature to lift and support the heavy weights that are being tackled. Training in the arts of Ki Development aims, in particular, to develop the ability to effectively relate to other people whatever the circumstances. Physical stature is not important because people have minds which control their bodies. In self-defence for example, if you can stay calm and move the mind of an attacker in the way you want to, you can with very little effort move their body and divert or neutralize the attack. Within the context of self-defence though, some important points should be made. 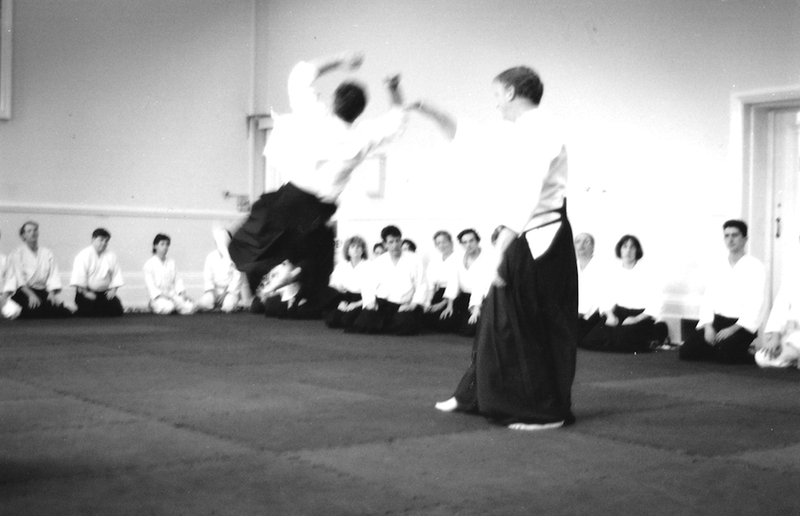 Firstly, people are less inclined to make an attack if they sense calmness and a strong flow of Ki. Secondly, if you maintain a calm mind you will also be aware of your surroundings and not expose yourself unnecessarily to the risk of a sudden violent attack. 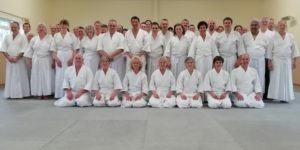 Thirdly, practice in the art of Aikido, as taught by the Ki Federation of Great Britain, develops a high degree of Mind Body Coordination. It equips one with the ability to cope effectively with the situation of conflict present in everyday life. This is through the use of certain fundamental principles. In a self-defence situation you would not, with correct training, have preconceived notions about applying any particular technique. There are no techniques as such, but exercises to obtain the aforementioned attitude. Your movements would blend to suit the circumstances, and you would operate according to these principles. Without due regard for these principles there is no truly effective form of self-defence. The correct attitude when learning how to use Ki and co-ordinate your mind and body is of the utmost importance. There is no room for discord or ill-will, for this only serves to unsettle the mind and create tension. Only a desire for harmony between us and others will allow unhindered development of our Ki. This does not mean that one would never get angry, but anger should be expressed in a calm controlled manner. Ranting and raving never does any good and builds resentment. Fierce aggressive training, sometimes thought to produce power, is wrong. With this type of training there is no progress at all, even though it is practiced over many years. l do believe that some students have learnt to extend strong Ki and are relaxed and calm by continuous practice and and hard work - even though they have not been so fortunate as to have had the explanation of Ki as it is today. What these students have had is a good teacher who understood the principles of Ki and has emphasized these (relaxation, calmness, humility and non-dissension), and was a good example of what he or she taught. This has given the student strong belief, through which, they have progressed in developing their Ki.